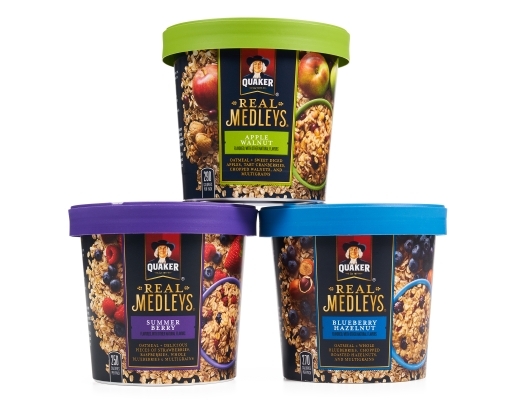 You’ve never seen oatmeal like this. 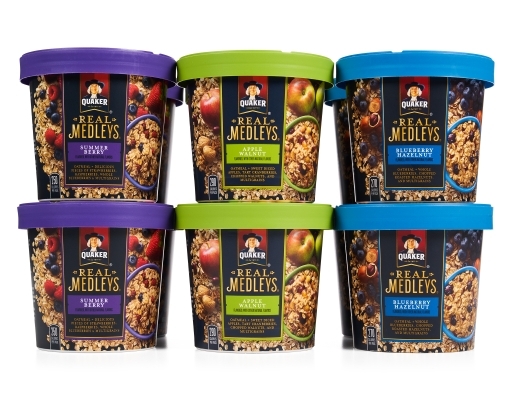 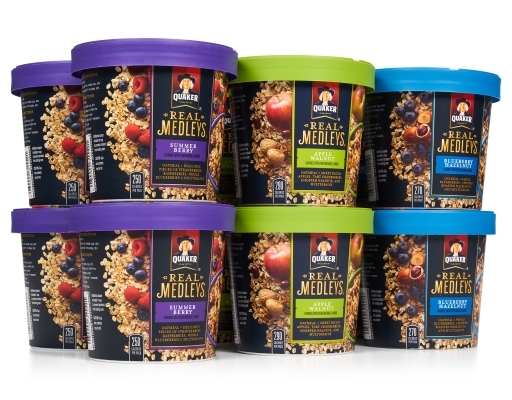 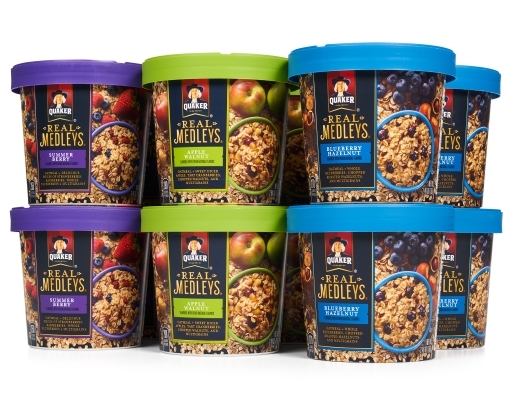 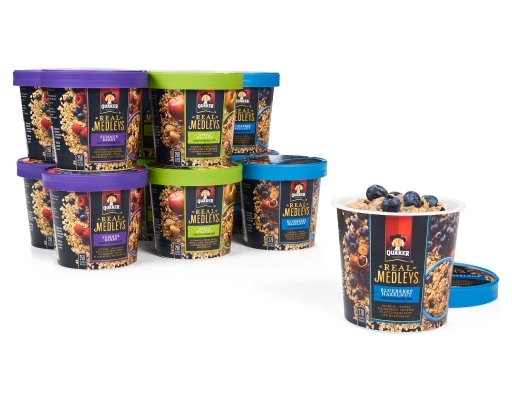 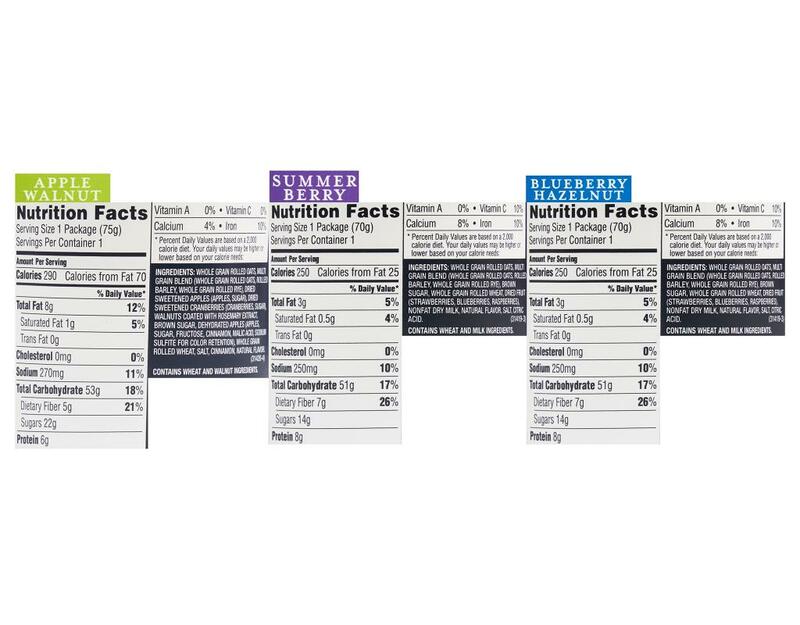 Packed with wholesome multi-grains and chunks of real fruit and nuts – delicious walnuts, hazelnuts, berries, sweet apples, and tasty cranberries, Quaker Real Medleys Oatmeal+ is an oatmeal experience beyond your expectations. It comes in a convenient, portable package so you can eat it anywhere! It’s so easy to make… Just add water and microwave. No mess, no bowl to clean up. 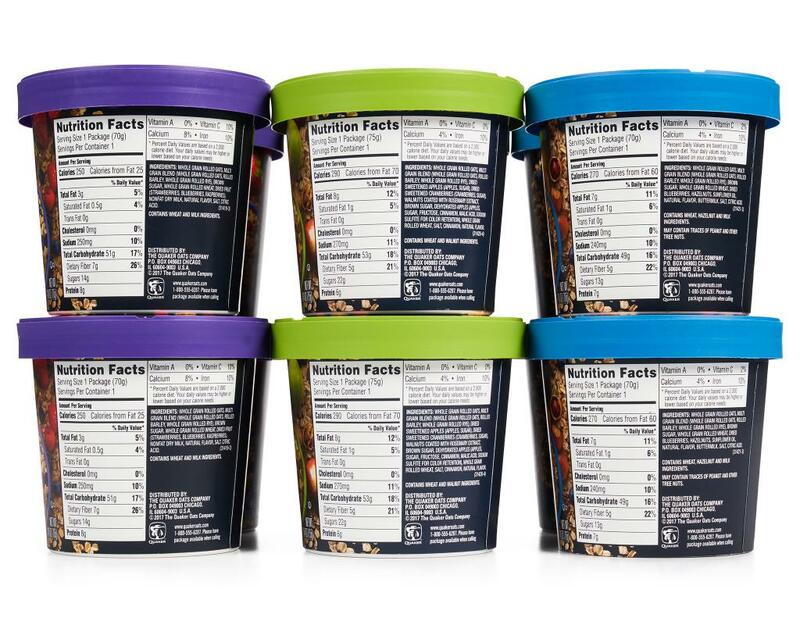 Contains Wheat, Hazelnut And Milk Ingredients. May Contain Traces Of Peanut And Other Tree Nuts.